Have you been itching to get your hands on an invitation to the royal wedding? Well, we have something hear to help with the itch. Open to US residents only, you have through 4/22 to enter. Good luck. 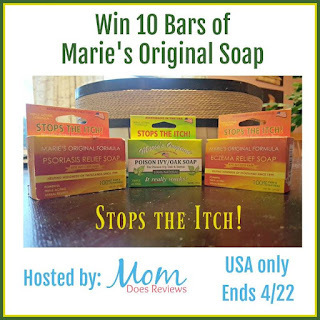 This giveaway is sponsored by Marie's Original Soap and hosted by Mom Does Reviews. 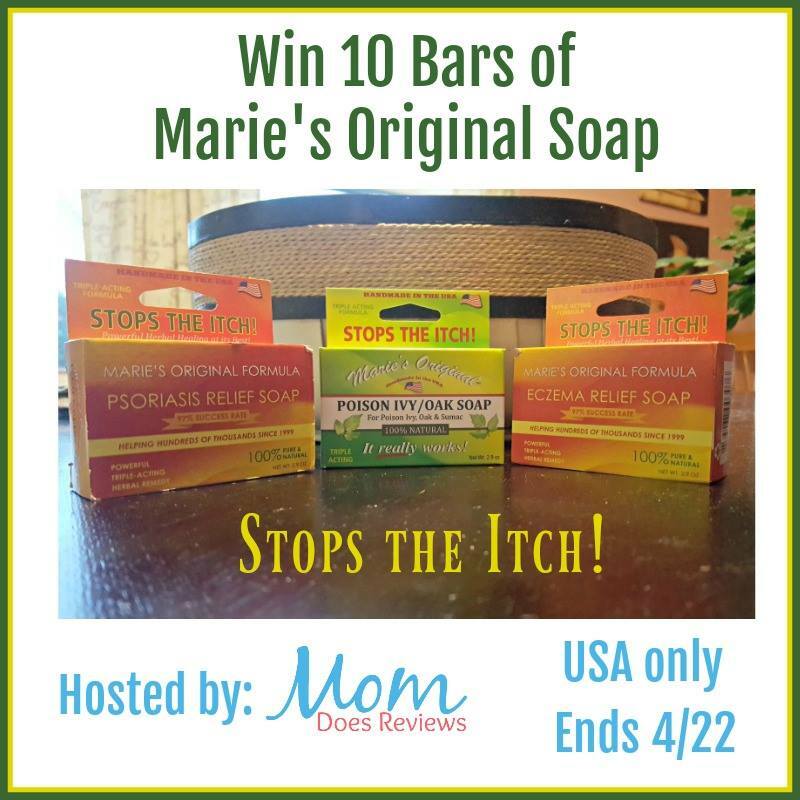 These herbal medicinal soaps help remove the oils of the poison ivy, oak and sumac plants from the skin and speed the healing process of these and almost all other skin irritations, including eczema and psoriasis. This soap is handmade with pure and natural products. It quickly heals poison ivy and oak rashes by removing the oils and stopping the spread. Made from a vegetable glycerine soap base, and organic oat bran, green clay, olive oil, and oil from betula lenta, salix alba, morinda citrifolia, sassafras albidum, grindelia camporum. 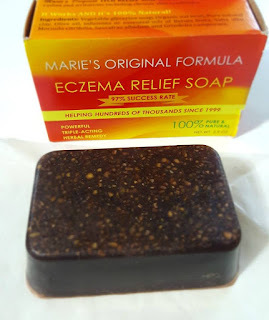 Eczema Relief Soap Bar This soap calms irritations and breakouts as it heals flaky bleeding skin without chemicals or steroids. Made from a vegetable glycerine soap base, and organic oat bran, green clay, olive oil, and oil from betula lenta, salix alba, morinda citrifolia, sassafras albidum, grindelia camporum. Psoriasis Relief Soap Bar Provides real relief for painful itchy rashes, skin irritations and breakouts. Helps to heal the irritated area and reduce the flare up. I wish I knew how to calm my skin. The skin on my hands is so itchy! taken a oatmeal bath really helps itchy skin. I use a cream specifically for psoriasis that I get over the counter. I can't recall the name off the top of my head. For dry itchy skin, I use an oatmeal soap and lotion.